Mantic Games, in partnership with Dark Horse Comics, is delighted to unveil a brand-new expansion for the Hellboy: The Board Game Kickstarter. 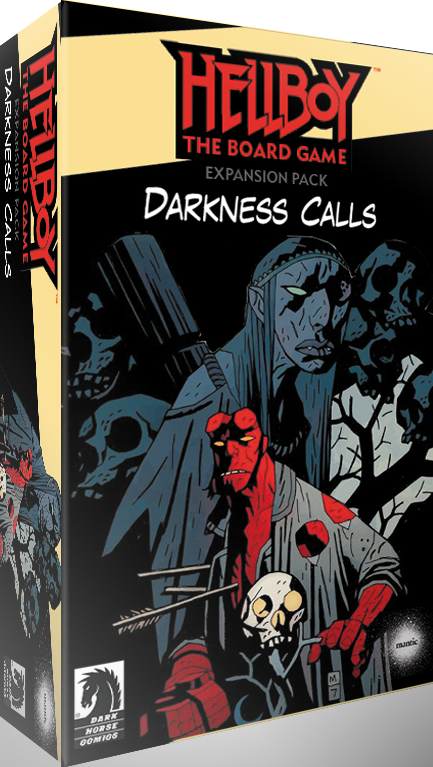 This game-changing expansion is inspired by Hellboy Volume 8: Darkness Calls. It tells the tale of Hellboy’s fateful encounter with iconic characters such as Koshchei the Deathless and Henry Hood, the undead witchfinder. With this expansion, players will be able to recreate the storyline by playing as Hellboy, or they can create their own ‘what if’ scenario to see how other members of the BPRD team would have fared against Koshchei and hideous undead warriors. It comes with new highly detailed miniatures of Henry Hood, Koshchei, undead witches and a variety of 15 undead minions. The Kickstarter is now in its final week and continues to go from strength to strength. After initially raising $1 million in just over 24 hours, now more than 11,000 Hellboy fans around the world have backed the project. Backers have helped to unlock almost 50 stretch goals and the Agent Pledge now includes 118 miniatures, plus a host of upgraded components. Inspired by Mike Mignola’s Hellboy comic book universe, the game is a co-operative experience in which players face off against some of the comic’s most famous foes. Up to four people take control of iconic BRPD members, such as Hellboy, Abe Sapien, and Roger the Homunculus, before exploring gothic locations and uncovering ancient artifacts.